What Drugs are Targeted by the 5 Panel Drug Test Kits? The following drugs are targeted in our 5 panel drug test kits. Please make your selection based on your drug testing needs. 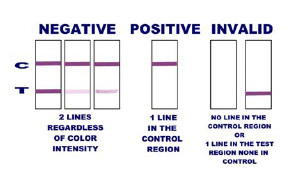 As an easy and economical way to obtain results for multiple drugs, this 5 panel drug test card is one of the most popular on-site urine drug testing kits on the market. This five panel drug testing kit get results in less than five minutes with a shelf life of 12 - 24 months and is a FDA Approved/CLIA Waived drug test. Ease of use, fast results and excellent pricing is what defines a Medical Disposables 5 panel drug test kit.